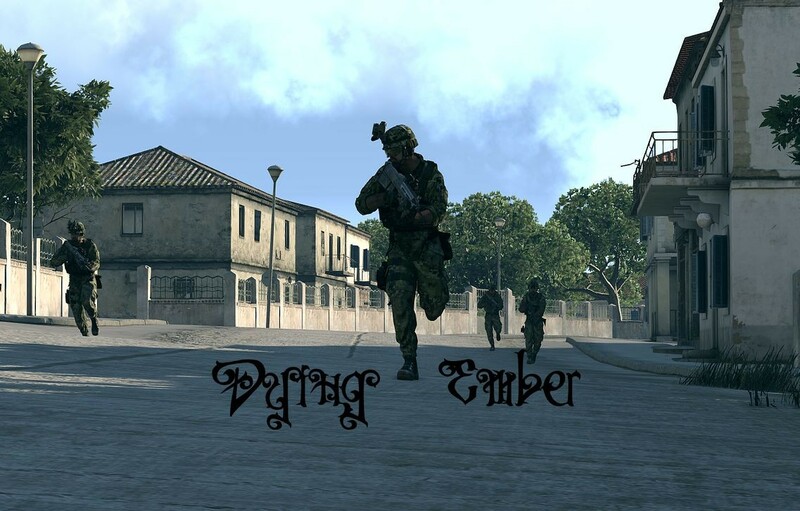 "Dying Ember" is a SP-campaign with 10 missions. As a prequel to BI's "The East Wind", the plot is embedded into the Arma 3-universe and its timeline. Pavlos, the main character, and his best friends fight a totalitarian military regime after the Kavala coup d'etat by the AAF in 2026. 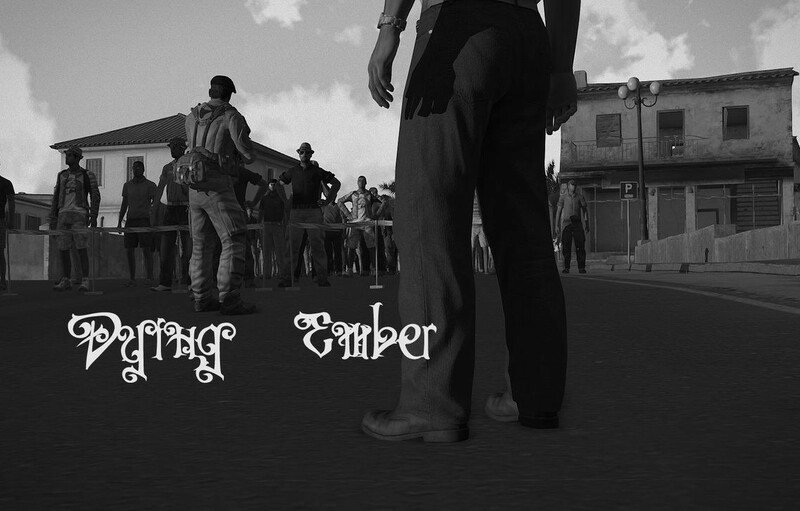 Story-driven resistance campaign with three chapters, playing in the time before BI's "The East Wind"
"Dying Ember" is a SP campaign-project for Arma 3. 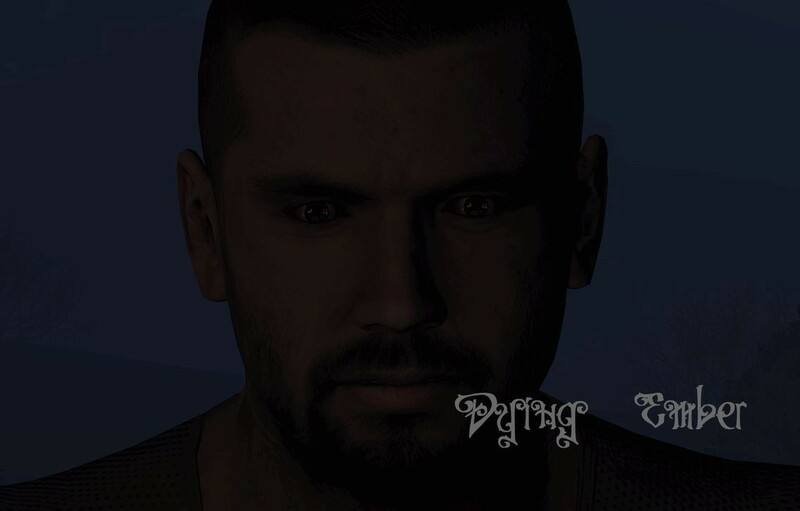 As a prequel to Bohemia Interactive's "The East Wind", its plot is embedded into the Arma 3-universe and its timeline. The project consists of three chapters, of which the first one will be the MANW-entry. This first chapter will contain 10 missions. 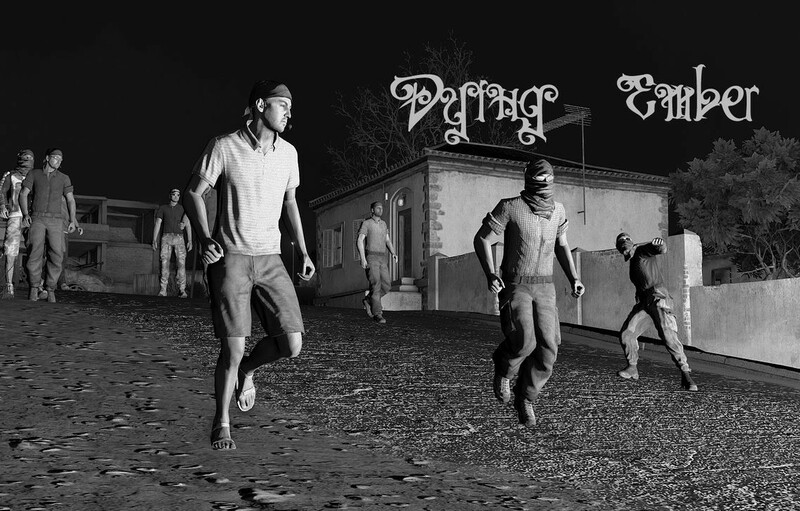 It portraits the Kavala coup d'etat in 2026, the following establishment of a military dictatorship by the Altis Armed Forces and the beginnings of a resistance movement. The second and third chapters (released later) will be about the Altian civil war and the time of the Jerusalem Cease Fire of 2030. Pavlos, the main character, and his best friends experience the 2026 Kavala coup d'etat and fight a following totalitarian military regime.